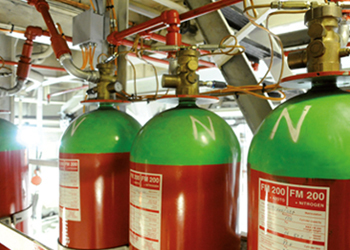 NAF S 125 42 bar cylinder assembiles can be used to retrofit existing Halon systems, saving pipes and disruption times. The NAF S 125 is identified in the international standards as HFC 125 and is a clean agent particularly indicated for total flooding applications. It requires the lowest concentration by weight among all zero ODP agents. HFC-125 has very low acute and subchronic inhalation toxicity. HFC-125 is not a developmental toxicant. Pentafluoroethane has no effect on stratospheric ozone since it contains neither chlorine nor bromine. Pentafluoroethane has a global warning potential of 2800 relative to CO2 7 at 100 years. 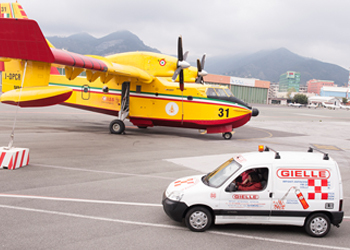 Thanks to its physical characteristics, very similar to those of the Halon 1301, the NAF S 125™ can be employed also for the protection of the cold temperatures risks. With a boiling point of -48.5ºC 125™,in fact ,is quickly distributed in particularly cold environments and in pressure of obstacles. Use of this agent should be in accordance with the safety guidelines in the latest edition of the NFPA 2001 Standard for Clean Agent Fire Extinguishing Systems. 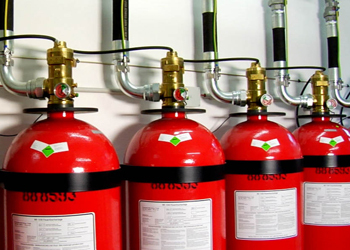 The NAF S125® extinguishing agent, called HFC-125, is suitable for total flooding systems in occupied areas. It protects areas such as computers, archives, electrical and telecommunications equipment, amongst others. Pentafluoroethane was not mutagenic both in vitro and in vivo studies using bacteria, mammalian cell lines and in the mouse micronucleus assay. Interaction of HFC-125, FC-218 and CF3I With High Speed Combustion Waves.